Last Saturday I gave up on all the house chores and decided to do something fun and ridiculous that didn’t require a mop or a vacuum. I decided to make homemade dog treats. 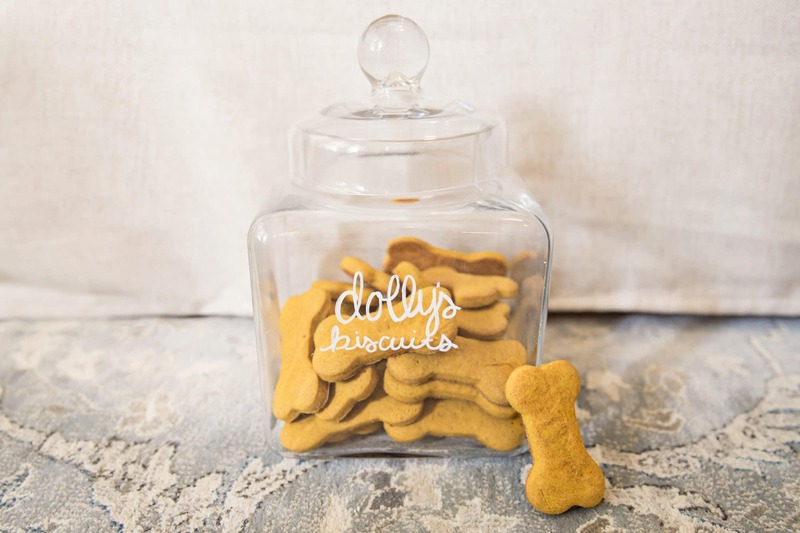 I used to make dog treats all the time growing up for our childhood dog, Daisy, then of course for Lucy, so I thought it was high time Dolly got a chance to try some for herself! 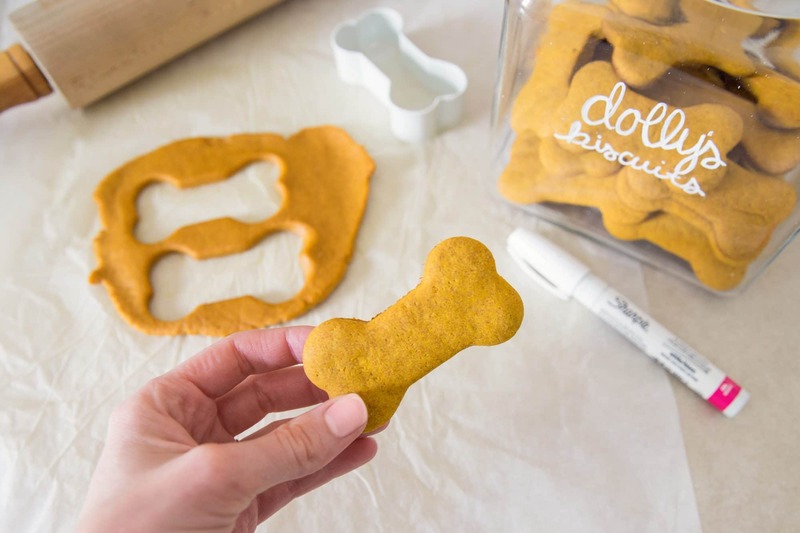 After casing the house and discovering that I had donated my dog bone shaped cookie cutter I ran to Michael’s and picked up a new one. While I was out I popped into HomeGoods and found this little jar for her treats. I knew I had a paint pen at home… so I headed home to make some treats. Once I got home I also discovered that I didn’t have my old recipe either! Clearly, I went on a purge and had gotten rid of everything, so I did a little googling and landed on this recipe from Eating Bird Food. They turned out to be so adorable! The treats are also pretty soft as well and I was thankful for that because she still has her tiny baby teeth. She’s been having a hard time crunching any of the hard treats we’ve purchased for her so far. As soon as they baked we gave her a little bit to see if she liked them. It took her a few second and a couple bites to figure out what it was and then BOOM! It hit her and she was obsessed. Like, sits next to the cookie jar and whines all day kind of obsessed. 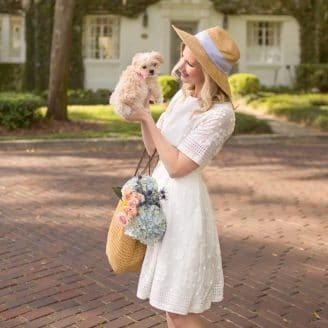 We were even able to teach Dolly how to sit and shake with the treats, which was amazing because she currently has the attention span of a gnat! 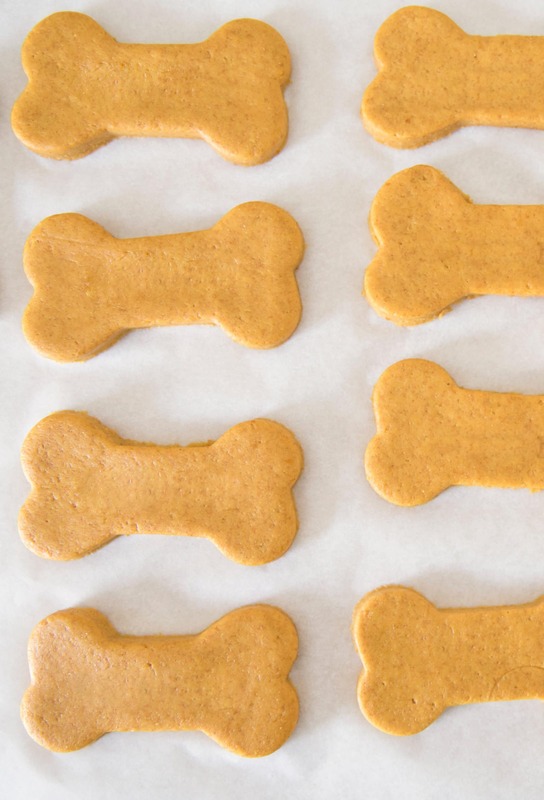 If you are looking for a super easy and apparently very yummy homemade dog treat recipe I’d highly recommend this one. 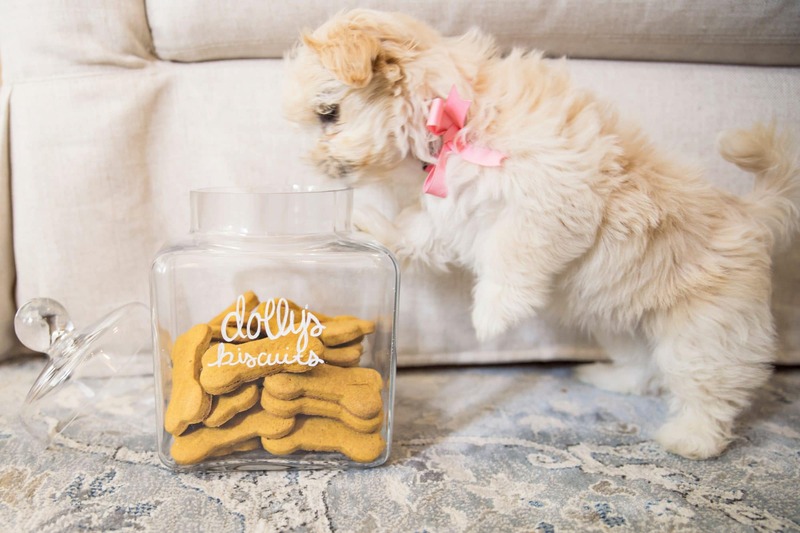 It’s Dolly approved! Combine flour, peanut butter, pumpkin and cinnamon in a large mixing bowl. Add stock and stir until well-combined. The dough will be thick. Once combined, use your hands to press the dough into a ball. Place dough ball on a flat service (with a sprinkle of flour if needed) and roll out evenly with a rolling pin. Dough should be about ¼ inch thick. 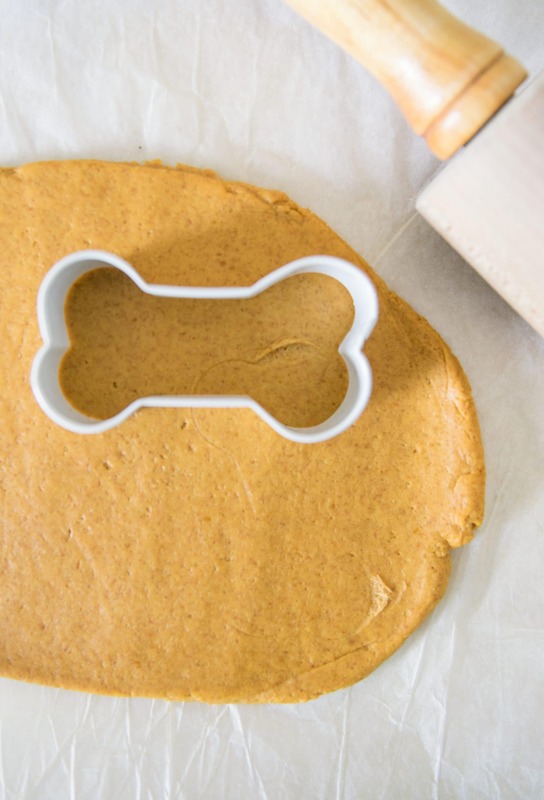 Use a cookie cutter to cut the dough into desired shape and place on ungreased baking sheet. Bake for 18+ minutes or until golden brown and hard to the touch. The baking time will vary based on the the size of the treats. Store in an airtight container. 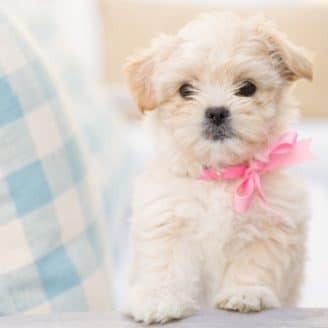 *Be sure your peanut butter doesn’t contain Xylitol as it is dangerous for pets. 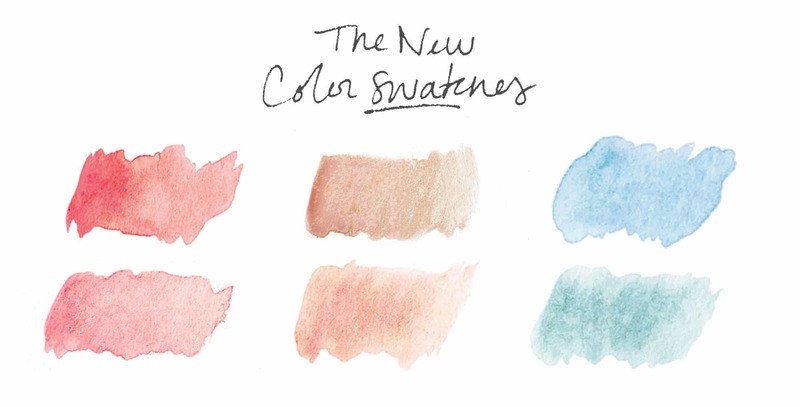 Next Post 7 “New” Beauty Products I Can’t Get Enough Of!